Arlington Community High School is an alternative high school that offers courses required for a high school diploma on a semester basis (classes completed in one semester) for day classes, and a year basis (classes completed in a year) for evening classes, to any county resident age 16 or older. 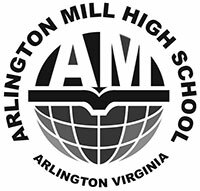 Classes operate from 8 a.m.–9:10 p.m. As a countywide high school of enrollment, Arlington Community High School awards its own diploma. Arlington Community High School’s diverse student population is focused on earning a high school diploma, while preparing themselves for college, work, and the future. While completing high school requirements, students have an opportunity to take classes for dual enrollment college credit, as well as work with NOVA counselors to plan a seamless transition to college. The location next to the Arlington Career Center affords additional opportunities to complete career and technical courses, earn industry certifications, and earn additional college dual enrollment credits. Students interested in enrolling in Arlington Community High School should contact the school directly, or see their current school counselor for enrollment information and a referral.